The Canada-European Union Comprehensive Economic and Trade Agreement (CETA) would worsen climate change. The German-language newspaper Die Zeit reports , "In 2012 Europe imported no more than 4,000 barrels tar sands a day. But it is expected this will increase significantly: in raw form from Canada, or processed into diesel or gasoline from the US. The Natural Resources Defence Council predicts that in 2020 imports will rise to a whopping 725,000 barrels a day. Trade agreements like CETA and TTIP [the United States-European Union Transatlantic Trade and Investment Partnership] play an important role in this rise. ...Why would trade-treaties influence our climate policies? ...Trade negotiations used to be about reducing trade barriers, such as quota and import taxes, but nowadays they mostly cover the alignment of regulations." The article further explains, "In 2009 [Europe] accepted the so-called Fuel Quality Directive (FQD), a guideline obliging fuel suppliers to reduce CO2 emissions in the transport sector with 6 percent. The core of the new FQD measures was the distinction between various kinds of fuel based on their CO2 emissions. In a study done for the European Commission, professor Adam Brandt of Stanford University concluded that the emissions of tar sands oil are 23 percent higher than those of conventional oil. Following this research, the Commission attributed a higher emission value to tar sands oil. 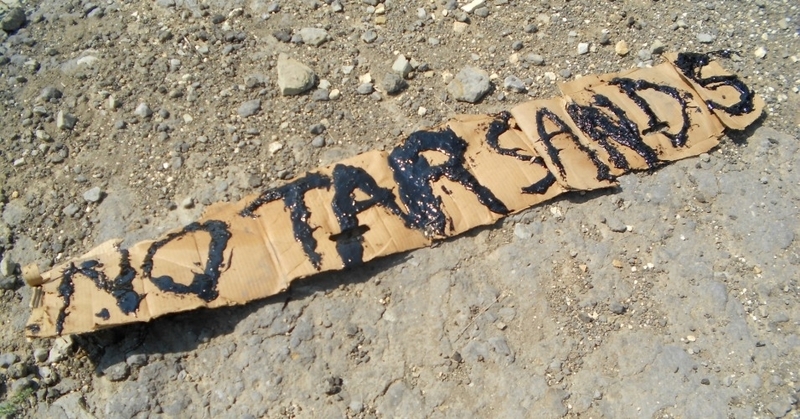 The message was clear: to achieve the 6 percent CO2 reduction the use of tar sands had to be discouraged." But, "Canada, the US and oil multinationals such as BP and Shell saw the European measures as a threat. The CETA and TTIP negotiations turned out to be a good opportunity to express their worries. The Fuel Quality Directive was a widely discussed subject during the negotiations with Canada, as becomes clear from confidential files which the Commission had to release. The Canadian minister-president Stephen Harper, ambassador Ross Hornby, a minister from the oil province Alberta: they all visited the European Commission to have their say. The European Commission eventually gave in to the pressure." As a result, "In the new proposal for the Fuel Quality Directive from 2014, the distinction between conventional and tar sands oil has been dropped." Die Zeit notes, "Trade commissioner Cecilia Malmström insists that the alignment of European and American regulations ’will not be at the expense of the environment, health, safety or consumer protection’. ...But the message [from this example and others] is clear: the costs of these trade treaties, for both people and the environment, are high." The Council of Canadians undertook many activities to support the Fuel Quality Directive in Europe. Our interventions in support of the FQD included releasing a legal opinion  highlighting how CETA could be used to attack the FQD; issuing an open letter  calling on the Harper government to stop its lobbying against the FQD in Europe; sending a letter  to all Members of the European Parliament urging them to support the FQD; supporting newspaper ads  in the U.K., Netherlands and France backing the FQD; lobbying  EU embassies in Ottawa; and meeting  with government representatives in Paris, The Hague, London and Berlin. In the lead-up to the United Nations COP 21 climate summit in Paris this December, we will also be arguing that "free trade" deals should not be allowed to override climate agreements. We believe that provisions must exist within climate accords, multilateral agreements and national laws to ensure that the investor-state dispute settlement provision and other trade disciplines cannot be used to imperil laws, policies and strategies to keep global temperatures from rising above 2 degrees Celsius. The threat of "free trade" to the climate is very real. In a recent campaign blog we specified , "With its investor-state dispute settlement provision that could be used to strike down laws that would ban fracking, impose water-taking restrictions on the Alberta tar sands, implement a moratorium on oil drilling in the North Sea, or local content rules for green energy projects, CETA would undoubtedly worsen climate change." But there are alternatives. In a recent report  we released with European and American allies, it was highlighted that, "A truly ambitious transatlantic partnership would promote the transition towards clean renewable energy sources and the phasing-out of dangerous and carbon-intensive fossil fuels."